I literally cannot find enough nice things to say about Phil Black Photography! Hands down the sweetest and most wonderful humans! Phil is the first and only photographer I met with when planning my wedding. After meeting with him – I was sold! Beyond my initial love for him – The prices are reasonable and their work is beautiful! They are a husband/wife team and they work together seamlessly. The whole process was so easy, he was so thorough and attentive. He made us so comfortable at our engagement photos when we were so nervous. The photos turned out beautiful! 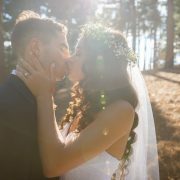 My wedding photos are perfect!!! Phil and Marianne were so wonderful on wedding day! They kept us on track, were so calm and helpful when I was getting close to a meltdown 🙂 Guests and family even came to tell me how lovely they were! I would more than recommend Phil Black Photography to anyone and everyone and I will miss chatting with them now that my wedding is over. I’m not sure I can find the words to express how much my husband and I LOVED having Phil and Marianne become part of our big day. The professionalism, sincerity, and good spiritedness that they brought not only to the day of the wedding, but for the engagement photos and every moment of everyday from the first day I met Phil. Always available, always willing/ready to help, happy to answer any questions or concerns about the photos or truly any part of the day I was unsure of. I cannot, cannot express how much I would recommend this pair. SO MUCH LOVE!!! Go with Phil Black! Phil and his wife Marianne were the best photographers we could have asked for. 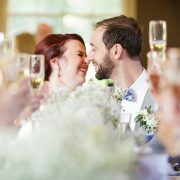 From the moment we first spoke with Phil until the end of our reception, he was so up beat, excited, and passionate about helping to create a wonder wedding experience. The actual wedding photos are absolutely beautiful; our friends and family are still talking about how impressed they are about how they turned out. The quality is spectacular and they caught some priceless moments of family at the wedding that captured their happiness in the moment without them knowing a picture was being taken. Those are my favorite. The breathtaking pictures set aside, they work so well together as a team. They are there to serve you and you feel it. Always a smile on their face, easy going, very flexible if you need to change things up last minute, and like to have fun. You get more of a personal, yet professional touch with them and I was absolutely thrilled with everything about them.You don’t find the quality of pictures and their heartwarming personality in a whole lots of services now days. Even my sister-in-law, who got married two years ago and hired someone from a bigger well known studio is jealous of the quality of our pics 😉 Very blessed we found them! I cannot express how amazing Phil Black Photography was to work with! Phil met with us prior to booking and answered all of our questions. 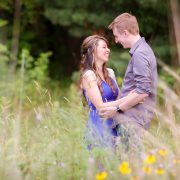 We used Phil for our engagement pictures and our wedding photos. We have been asked so many times who are photographer was because our engagement photos turned out so amazing. Phil was great throughout the whole wedding planning process. He would email us every few months to check in and see if there was anything he could assist us with anything (even not photography related)! On the day of our wedding, Phil and his wife Marianne were amazing. Not only were they our photographers but they helped with anything and everything we needed. They helped keep us on time, kept nosey relatives at bay and helped keep both myself and my husband calm. Any photos we wanted they made sure to capture. 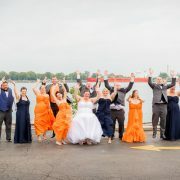 They were so flexible, super fun and were able to capture our wedding craziness. I cannot say it enough…OUR PHOTOS TURNED OUT AMAZING! 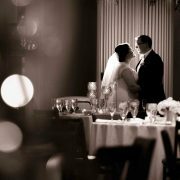 I would recommend Phil Black Photography to anyone looking for a wedding photographer. They were truly able to capture our special day in a way I could not even imagine! From the first picture at our engagement shoot to the very last shot at our wedding to everything in between, Phil was AMAZING!! We met with Phil on the recommendation of my brother and sister-in-law and after our first conversation knew that Phil was the right photographer for us. Phil is incredibly passionate about his work and it comes through in every discussion, every email and most importantly, every photograph. I appreciated Phil’s check-in emails and phone calls throughout the whole wedding process. He was there not only to answer questions about the photography but any other random question that I had along the way. As the expert, Phil made suggestions on the timeline and other things along the way, but ultimately reminded us that it was our wedding and he was there to help us achieve our vision. A few months before the wedding, Phil contacted us about a new offering that he added – a photobooth. My husband and I decided that it would be a fun addition to the reception and we are so glad that we added it! The photobooth attendant was awesome and she encouraged our guests to have fun while taking their pictures. At the end of the night, we left the reception with an album of all the pictures and handwritten messages from our guests. I would definitely recommend the photobooth option to any couple! I couldn’t believe how quickly we got our photos back after the wedding! The digital album is fantastic and was so easy to share with family and friends! 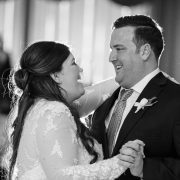 My husband and I have looked through the pictures multiple times already and can’t believe the moments that Phil and his wife, Marianne, captured. The posed shots are beautiful and the candid shots capture all the emotion of the day. 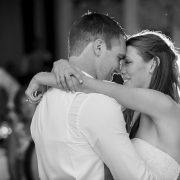 The only problem is deciding which of their incredible photos we want to include in our album or have printed and framed! 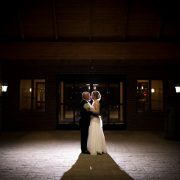 Hiring Phil was one of the best decisions that we made during the wedding planning process and I highly recommend Phil Black Photography to any couple who is looking for a professional, personable and passionate photographer! Wow! Phil and Marianne were an absolute joy to work with. From the very first day when we took our engagement photos to now, almost a month after our wedding, Phil has been there with us helping us every step of the way. 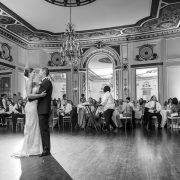 He was always willing to use his experience with many weddings to help two first timers plan every last detail. We never had to wait for his advice; he was very timely and responsive. 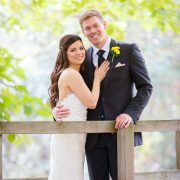 Our photos were fantastic, and our families and bridal parties loved working with them. Our expectations were exceeded in every aspect. I can’t wait for our keepsake album arrives so I can come back and give this review six stars! Nothing but great things to say about Phil and Marianne. They were extremely professional and organized. They got all the shots we asked for and then some, and they all turned out great, and absolutely no one worth while is going to beat the price. We were absolutely thrilled with the pictures and have had dozens of compliments on them. Phil promised a 14 day turnaround on the photos and turned them around in only 12 days! Hiring this team was easily the best decision we made during our wedding planning! Phil is great! He is very personable and made our experience memorable! There was never a time I had to reach out to him, he was on top of everything all the time. Working with him was very stress free, which is what a bride needs! We will definitely be using him again! They were beyond the best team of professionals! 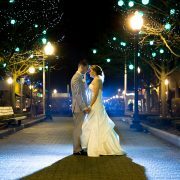 I would recommend him to anyone getting married or in need of professionalism for their photography. Phil went above and beyond to help make our wedding a special day. Phil and Marianne were FANTASTIC! We both felt so comfortable with him and he was so much fun to work with! He is prompt with the edits and photos. We even got ours back earlier than his promise time. He was very thorough and kept in contact with us and didn’t wait until the last minute to get to know us. We asked for some interesting things and he delivered!!! Marianne even went so far as to fold the groomsmen’s pocket squares because they weren’t technically inclined enough to do it themselves. We are so happy we went with Phil! THANK YOU FOR BEING SO AMAZING! Phil is amazing!!! He was professional and charismatic, and made the experience so much fun for us. Both of us went into photos with some anxiety about posing, but Phil was able to make sure we got all the shots we were looking for and gave us the freedom and instruction that we needed. I highly, highly recommend him! Phil made a great impression on us. He was very accommodating, being able to meet us half way, as we wanted to meet in person vs doing a Skype meeting. He is all about customer service, dressing professionally, being personable, and coming with an organized folder, that even included information about the equipment he would be using. My husband and I got in the car after the first meeting and both quickly agreed that he would be our photographer. He delivered on the day of the wedding, adjusting the photography schedule when my hair and makeup took longer than planned, so I did not have to worry about a thing. I highly recommend him for your wedding photography needs. He did a phenomenal job of capturing our wedding day! Loving these photos, we are SO excited about them!! Phil and Marianne really did an amazing job! Thank you again for all of your amazing work and for being so patient with us. We highly recommend Phil, and have recommended him to anyone we know that is planning a wedding. Phil not only does excellent work but is so accommodating in all of the lead up and preparation for your day. We live in the Lansing area, Phil lives in the Detroit area and we had to twist his arm just to let us meet him halfway after him already driving to us multiple times. You have enough demands of you in planning a wedding, to have a photographer that is willing to go the extra mile to help you at every step along the way is priceless. The fact that the photographs were excellent was just icing on the cake. The pictures are absolutely amazing! We are so impressed! You did a wonderful job at capturing the dreamlike quality of the entire day! Thank you so much for everything!! If you are even considering another photographer, stop and book Phil NOW! My husband and I were beyond satisfied with the work that he did, and our pictures turned out amazing. Everyone who has seen them loves them, and keeps telling us how amazing they are. He went above and beyond and made sure to get all of the shots we requested. 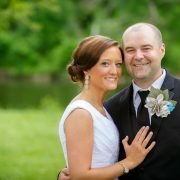 Phil and his wife are so friendly and our whole bridal party loved working with them. BOOK HIM NOW, you will not be sorry!!! The photos are absolutely amazing! We were ALL blown away. We had such a great experience with you and Marianne! 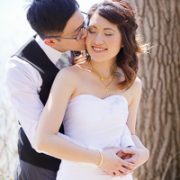 We had Phil and Marianne take our wedding photos, and we were so happy with how they turned out! Right from the beginning, I knew we were in great hands- Phil was so fun, organized, and helpful during the first meeting that I knew we had to have him as our photographer. 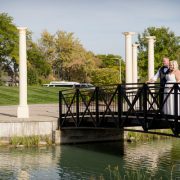 Knowing that we would be spending most of the wedding day with our photographer, it was important to us that we had someone who was nice, fun, and able to adapt quickly if we got off-schedule. He not only helped us figure out what kind of photos we wanted to take, he also helped us figure out the timeline for the day, helped us get our DJ, and continued to check in several more times during the planning process to see if he could help us with anything else. On the day of the wedding, he was so much fun to work with and he was able to capture all of the silly, fun moments that we had throughout the day. He also worked with all our other vendors and our church to make sure we could get all the photos that we wanted. We got all of our photos and our album design back within 3 weeks, and the more we look at them the more we love them! We would recommend Phil to any of our friends! Phil and Marianne are by far the most amazing people I have ever worked with! From the prefect minute to minute outline on our wedding day to standing in -5 below weather in downtown Detroit taking our engagement photos. Phil and Marianne captured our wedding and engagement photoshoot beyond my crazy dreams. My family and friends cannot stop talking about the amazing photos they had taken, but most importantly they are the most kind hearted people I have met. They work beautifully together! Phil and Marianne did everything I had ever asked (I was a bridezilla at times) without questions and a smile on their faces. 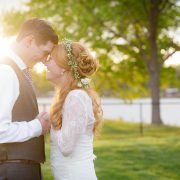 Weddings are stressful, but they made the experience effortless! They are the perfect team. I could call, email, text you name it any moment of the day and know I would receive a quick reply. You can tell this is not just a job or a hobby this is their passion! I cannot say enough amazing things about these two amazing photographers! I would recommend them to any family member or friend without question or hesitation! They had our photos returned in a timely manner with amazing angles, focal points, you name it. They are creative, think out of the box, do exactly as you ask and willing to do whatever you request! I felt comfortable at every moment working with Phil and Marianne. 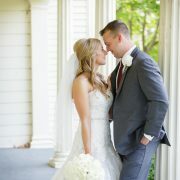 Guys are not into weddings as much as girls and my husband could not stop gushing with compliments about these two! If you do not choose Phil Black Photography, you are mistaken. 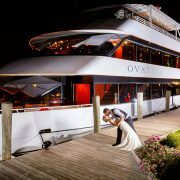 They made our entire wedding day easy, breezey, fun, exciting, adventurous and most of all filled with love and smiles! 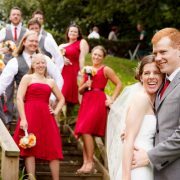 I’m that crazy bride and asked for references from previous customers and I would love to point you in the right direction… Phil Black Photography!!! Thank you Phil and Marianne for making our dreams come alive and providing us with moments for the rest of our lives! Phil and Marianne were absolutely wonderful. 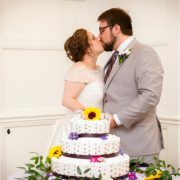 Our wedding was in early May and many of pictures had to be taken indoors due to the weather. We are impressed as to how vibrant the pictures came out and they look absolutely stunning. Both Phil and Marianne are very professional and incredibly nice. My husband and I were planning our wedding from a different state and Phil made sure to reach out to us periodically and see if we needed any help planning along the way. We also had guests take advantage of the photography registry, which I thought was a great idea and perk. I would definitely recommend Phil Black Photography to my friends and family! Thank you so much for going above and beyond for us at our wedding. We are so lucky that we found you both! Thank you for being so flexible with all of our changing requests over the entire planning process. You were an incredible resource. 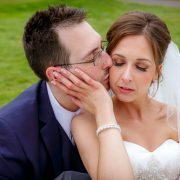 On our special day you and Marianne helped us to feel confident and connected to our experience. Phil and Marianne are absolutely amazing! We are so happy with our wedding and engagement photos. They did an amazing job and are so easy to work with! More importantly, they are genuinely nice people. We cannot say enough good things about Phil Black Photography and highly recommend using them for all of your photo/photo booth needs! Phil is so easy to work with and you can tell that he has a true passion for photography. Very punctual, energetic, flexible and overall fun! I would highly recommend him to anyone and everyone! !